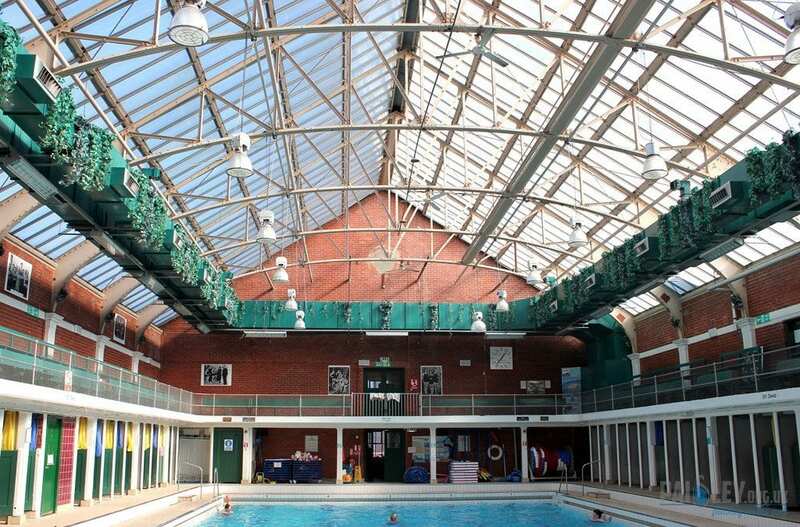 FREE swimming sessions are being offered to OAPs at all pools in Renfrewshire. The generous move by bosses at Renfrewshire Leisure – the management trust that runs sports and leisure centres locally – is in recognition of the 25th anniversary of the Over 50s Club at Renfrew’s Victory Baths. Senior citizens can get free entry – normally £1.25 per swimming session – to the pools at Paisley’s Lagoon Centre; The On-X, in Linwood; Johnstone Sports Hub; Renfrew’s Victory Baths and Erskine Swimming Pool during the week beginning Monday, October 5. Joyce McKellar, chief executive of Renfrewshire Leisure explained: “The Over 50s Club at Victory Baths have been doing a fantastic job of encouraging more mature people to keep active by swimming regularly. “They have more than 30 octogenarians who are members of the swimming club and they are a great example to us all. Joyce added: “We wanted to do something to recognise the Over 50s Club’s achievement in reaching their quarter of a century, as well as encouraging other senior citizens to stay active and healthy through swimming. Over 50s Club President Isobel Marshall said: “This is a great idea and I’d encourage pensioners to take advantage of the free swimming offer.